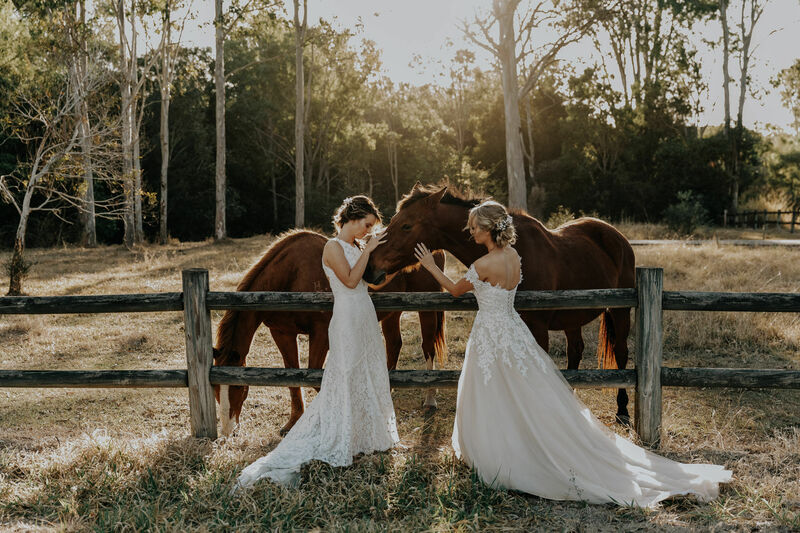 Emma offers a relaxed and natural wedding photography experience and thrives on capturing something out of the ordinary that gives your day a personal touch. Hi, I’m Emma! I’ve made it my job to create moment-rich collections of imagery from a day when all of your absolute favourite people are together celebrating you. I want you to relax, and enjoy every second of this day you’ve planned and counted down to, knowing that I’m going to preserve it all for you. I call the Sunshine Coast home, however I will go anywhere you want to take me. I have had the absolute pleasure of capturing destination weddings for brides and grooms in Bali, NZ, Vanuatu & Fiji, which is so rad that I sometimes can’t believe it happened and I can’t wait for my next adventure. I love nothing more than capturing something out of the ordinary and personal to you and your people. Recording the relationships between the two of you and all of your loved ones is paramount. The squeeze of a hand, a big bear hug or your grandparents busting out on the dancefloor, weddings are full of all these little things you could have never imagined happening or known how precious they would be to look back on. Give me some pretty light, some happy loved up humans (and for extra points, a dog or two) and I feel on top of the world. I truly believe the best moments are the real ones, those little ones in between, so I just want you to laugh big, cry some happy tears and I’ll take care of keeping these memories tangible for you. If it sounds like I am the right photographer to capture your day of love/biggest & best party you’ve ever thrown, get in touch! My packages start from $3300.